Although it’s steadily changing, few people know about sound masking or understand exactly how it works. I remember exhibiting at a tradeshow a number of years ago. Despite having prominently displayed our product in our booth, upon entering, a surprising number of people walked up to the walls and began inspecting or even stroking them. At first, we thought they were simply admiring our attractive display, but no...they saw the word ‘ACOUSTICS’ above it and instantly assumed that we manufactured absorptive panels. Although they found the walls to be hard and reflective, some were still so convinced that this had to be what we were exhibiting, that they asked how they could possibly work. I don’t intend to mock anyone by using this example – just illustrate how remote the idea was that an acoustical product could be anything other than an absorptive material. 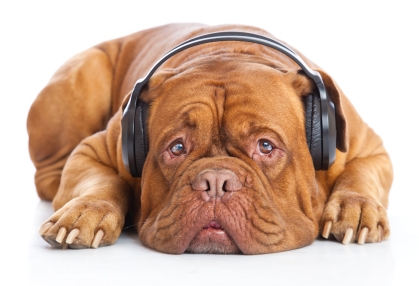 The most common misperception nowadays seems to be that sound masking is the same as noise cancellation. Blame it on the success of various noise-cancelling headphones or the self-explanatory name – this is now the first conclusion a lot of people jump to with respect to how masking works. I enjoy it though, because it gives me a chance to make the distinction (as opposed to people stroking the walls of my booth, which is a much more difficult activity to politely interrupt). So, is masking the same as cancellation? Why no...glad you asked! They’re actually two entirely different methods of addressing noise. Without going into a great deal of detail in this post, masking essentially works by introducing a controlled, comfortable background sound into spaces that have ambient levels that are too low. This sound interferes with the listener’s ability to hear unwanted noises because our ear and brain (as incredible as they are!) are unable to distinguish between two sounds of similar volume and frequency. Cancellation, on the other hand, uses a microphone to sense incoming noise and a processor to create the equal and opposite sound wave. A speaker then directs this inverted sound wave towards the listener so that when it reaches their ear, the two sounds are cancelled out. This method works to a greater or lesser degree – the sound may be entirely cancelled or only somewhat diminished. At this point in the conversation, most people are thinking that this technology would be great for their office, but it has a number of limitations that prevent it from working in a lot of open air applications. First, it typically requires that the noise source, cancellation device and listener be lined up. That’s why it works well in microphones and headsets – there’s a single, linear path for the cancellation process. Second, it requires the noise sources and the listener to stay in one place, because the cancellation effect has been engineered to work in one area. In an office – or similar environment – there are a lot of noise sources and a great many listeners, and both are constantly moving around. If you were to use this technology and move out of its ‘sweet spot,’ you’d hear both the original noise and the cancellation sound. Not good. And while this technology is improving, it’s still best-suited for lower frequency, relatively consistent noises (like airplane cabin or engine/road noise). The speech sounds and higher frequency, intermittent noises that sound masking addresses would be much more difficult to manage through cancellation. In fact, most noise-cancelling headphones use traditional sound proofing to address these. Our founder, Klaus, frequently jokes that a truly effective cancellation system would indiscriminately cancel everything – including the conversations we want to hear – turning all offices into email-only environments and bringing the sitcom scene of two people texting each other while sitting mere feet apart to life! Sound masking, on the other hand, is very effective for the types of noises we need to deal with in various working environments.